No doubt France is one of the top destination in the World and its capital, Paris always comes first to our minds. Paris is one of the unique and diversely populated cities in Europe. When in Paris, one must go to the famous Eiffel Tower. 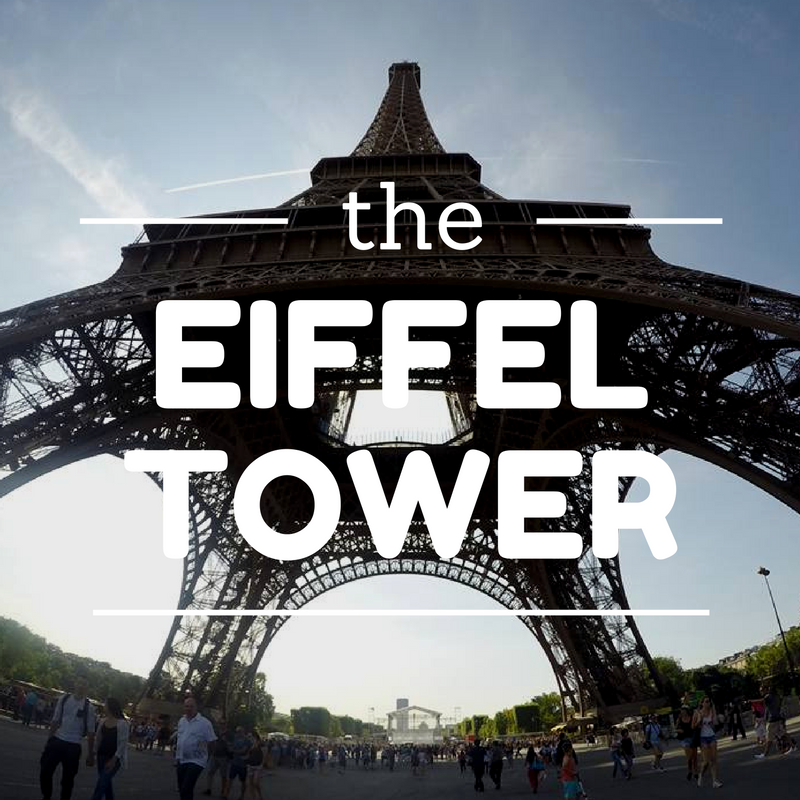 Eiffel Tower has been the country's iconic landmark. It was designed by the famous architect/engineer Alexandre Gustave Eiffel. It was then the tallest man-made structure in the world. The Eiffel Tower is located in the 7th arrondissement(equivalent to district) just across the Seine river from Palais de Chaillot. The easiest way to get to it is to take a metro(Public Train) to Trocadéro and then walk a few meters. It is advisable that when you go up to the Eiffel Tower, you need to have a ticket beforehand so you can skip all the long lines and the troubles it may bring. But for me, since I am a spontaneous traveler and just decided last minute, I face the awesome journey. The best time to go up into the Eiffel Tower is in the morning as it tends to be fewer people by that time. (Usually, Eiffel tower opens at 9AM till 12AM as it depends on the season/month). 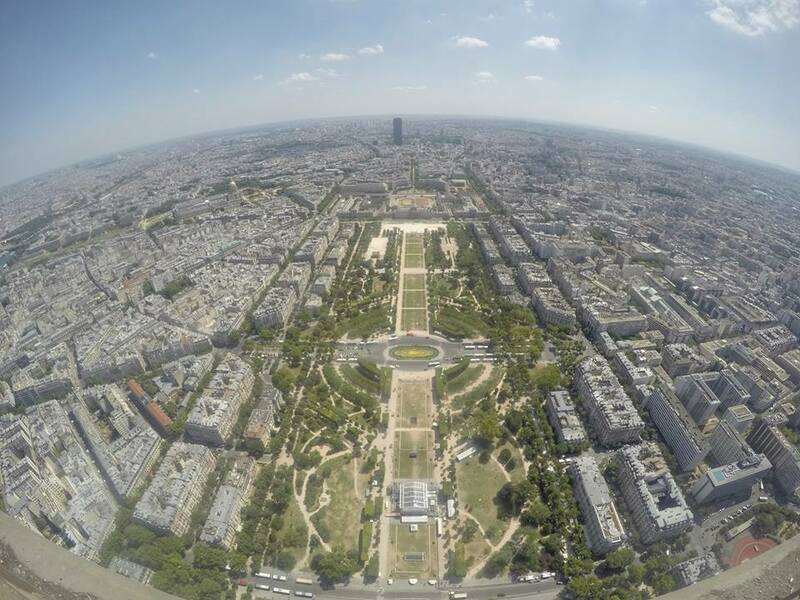 When traveling to Paris, seeing the sights from the top of the Eiffel Tower is a can’t-miss opportunity. You can buy your tickets either on the site itself or via online. (Book here). I suggest booking your tickets online as it took us around an hour to simply bought the tickets.There are 2 modes in going up to the Eiffel Tower, you can take the lift or take the stairs. The line using stairs tends to be shorter compared to the lifts. Eiffel Tower has 4 segments, The ground floor, 1st Floor, 2nd Floor and the summit. Doing it by lift and for the entire segment is a bit expensive at around 17 Euros per adult if only the 1st and 2nd floor then only at 11 Euros per adult and for stairs at around 10-12 Euros(Seem to forget the exact price) per adult. I choose the lifts but also did take the stairs. They do inspect your tickets and check if you are eligible to every floor. They split us into batches in order to have a smooth and orderly ascend to 1st floor. A friendly reminder to keep your ticket at all times. In the 1st floor there are lots of things to do, They have a swing, some lounges and area to chill and relax, a mini-theater where you can watch how Eiffel Tower was constructed and its history, lots of signage on where to kiss your partner or strangers (hahaha), brave yourself to step on the glass floor, take a fine dining or snack or just check the views around and a whole lot more. In this floor, you can find the comfort room and restaurants. Going to 2nd Floor, I decided to take the stairs. In this floor, there are lots of viewing platforms. They have the telescope which is coin operated. They have the upper portion of the 2nd floor which has the better spot for viewing the area. They have lots of souvenir shops around where you can buy some stuff for "pasalubong". It is a bit pricey but there are some items which you can only buy there. There is another queue on this floor going to the summit. Only lifts are the only means going to the summit. They check your ticket again here if you are eligible to get to the summit. Once in the summit, the lash of wind will welcome you. The view from here is magnificent. You can see the entire city of Paris in its glorious white. There is a shop there that sells Champagne to celebrate this achievement. You can also see here a small room that serves as Eiffel's Apartment way before and it is restricted to visitors. Some Parisians wanted to rent the apartment but he refused to but then he would entertain his guest in it, One notable guest was Thomas Edison. Also in here, you can see a mini-museum and an observation deck. The summit is a bit small and the staff is advising us not to stay a bit longer as there are more people coming. Overall it was worth the trip and experience. I would definitely recommend this to everybody who travels to Paris. Have you been to the Eiffel Tower? Share your stories and experiences below.